Promising golfers smaller clothing sizes, no hunger, plenty to eat, and the sublime feel of lightly striding up the 18th fairway with legs as fresh as on the first, veteran Food and Weight Loss Coach Larry Jacobs will present his latest Weight Loss for Golfers Tele-Seminar Series this coming September 28 – and with a special end-of-summer half-price offer. Guaranteed to make participants “Thin for Life,” the four-part program comes at a time of year when many golfers are noticing a suspiciously expanding end of summer waistline. Having previously conducted thousands of consults and more than 20 Weight Loss Tele-Seminars, Jacobs has enabled people from all walks of life in 22 countries to modify and improve those habits. More recently he’s focused on golfers, with a list of satisfied golf notables that includes NBC Sports on-course Golf Announcer Roger Maltbie, Fred Funk, Allen Doyle, Don Trahan, Dottie Pepper and Fred Funk. 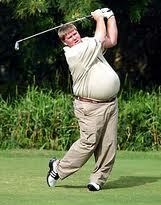 In fact, Jacobs gave Funk “game day” food advice just after he qualified for the U.S. Open at Bethpage in 2009. Although a novel practice in those olden times, the science of nutrition, wellness and physical performance is now mainstream, most famously evident by the improved conditioning of Wimbledon Champion Novak Djokovic, after removing glutens from his diet. But an obvious question for Jacobs is why the focus on golfers? “First, I’m a mad dog golfer myself, and know the lengths players will go to improve their games,” explains Jacobs, a volunteer Special Olympics Golf Coach who carries a four handicap. “The golfers instantly know that I’m one of them. Second, there’s also a large group of Baby Boomers and seniors heading down the “back nine” of life, when excess weight and the poor health that comes with it detracts from play and makes the game less enjoyable. 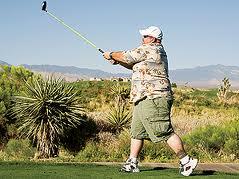 And while golfers have been encouraged to try yoga and get stronger, nutrition has been largely overlooked. Some things, like potato chips and processed meats are obvious. Others are less, such as farm-raised salmon and apples that are grown conventionally, with pesticides and herbicides. The diet still has room for several dozen types of food in the first two-week period. The second session involves systematically re-introducing some of the foods and gauging the body’s reaction, while the next sessions are devoted to creating an individualized long-term plan to build healthy eating into a lifestyle. 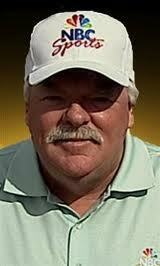 For more information on Larry Jacobs and to register for his Weight Loss for Golfers Tele–Seminar program, go to http://ThinGolfer.com.